山东一诺生物质材料有限公司，筹建于2009年，通过几年的发展，现形成以糠醇、2-甲基呋喃、四氢糠醇、乙酰正丙醇、2-甲基四氢呋喃等链条式产品的生产基地。已拥有年产10万吨糠醇、5000吨2-甲基呋喃、5000吨四氢糠醇、5000吨2-甲基四氢呋喃和5000吨乙酰丙醇五个产品的生产能力。打造一流化工原料供应商是一诺人共同的愿景。公司秉承“质量第一、信誉至上”的宗旨，信守合同，诚信经营，拥有了一批合作很好的国内外客户。 Since was founded in 2009, Shandong Yino Biologic Materials Co., Ltd. has formed the production base which is the product chain of furfuryl alcohol, 2-methyl furan, tetrohydrofurfuryl alcohol, acetyl propanol,and 2-methyltetrahydrofuran. The annual output of FA is 100,000mts, 2-methyl furan is 5000mts, THFA is 5000mts, acetyl propanoal is 5000mts,2-methyltetrahydrofuran is 5000mts.YINO pursues to become the first class chemical material suppliers. YINO adherings to the principle "quality first, reputation first". Due to contract compliance and good faith,YINO has a group of customers with good cooperation relationship at home and broad. 2011年成立了濮阳市一诺工贸有限公司，一诺走上了国际化的发展舞台。几年来，与日本、韩国、台湾、欧美等多个国家和地区建立了稳定的业务关系，取得了令人瞩目的业绩。 In 2011, Puyang Yinuo Industrial Trading Co., Ltd. was founded, showing that YINO has been On the internationalization development stage. 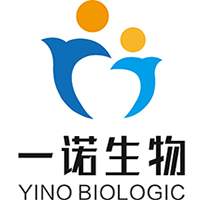 In the past years, YINO has established a long-term business relationship with more than 20 countries and regions including Japan, South Korea, the United States, Canada, Europe, Africa, Australia, Taiwan, etc.